Dainty jewels are always a good idea. And as we come to the end of January, not to mention the end of those January blues there’s absolutely every excuse to treat yourself to a little self-gifting of some pretty little treasures. In a follow up edition to my new “Considered Curation” series, a new venture in which I share the brands, people and places I love, today it’s all about decorating yourself and those you love with something beautiful from local and international designers who have built something that simply must be shared and worn. So darlings, get in, we’re going shopping! 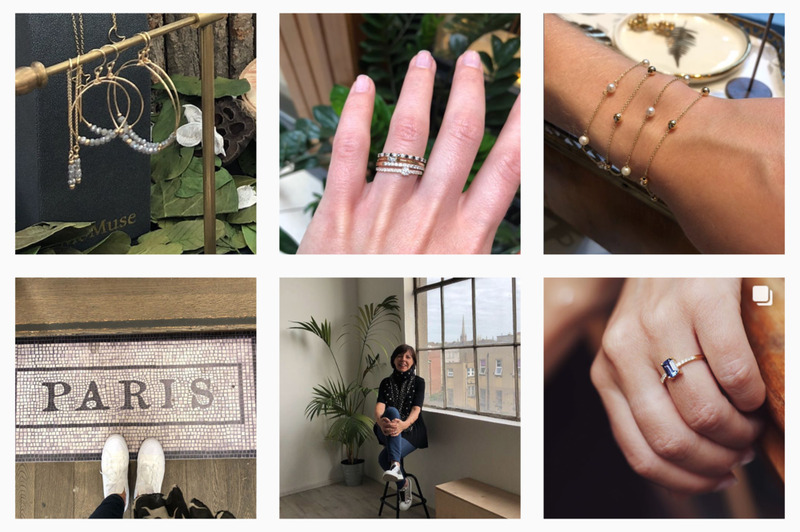 Soru is a UK based jewellery brand that has brought all my jewellery dreams to life. Soru, meaning sisters in Sicilian, was aptly created and curated by two half English-Sicilian sisters Francesca Kelly and Marianna Doyle in 2013. Full of ornate flair and made for the every-day wearer, carrying her to those every-night occasions, each Soru creation is ethically handmade in Italy or Turkey using gold plated sterling silver, set to precious metals and semi precious gemstones. 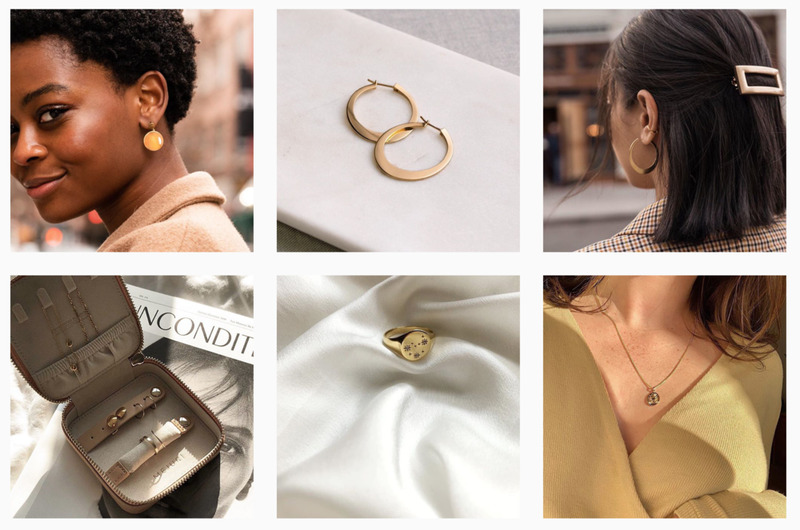 Francesca and Marianna’s story is a gorgeous one and their philosophy, that jewellery should complete a look and make you feel transformed, is part of the brand’s elegant aesthetic. To say I’m in love would be an understatement. Founded in Madrid in 2011 by Beatriz Palacios Jiménez, Beatriz Palacios, is an elegant mix of feminine strength and unconventional sophistication. 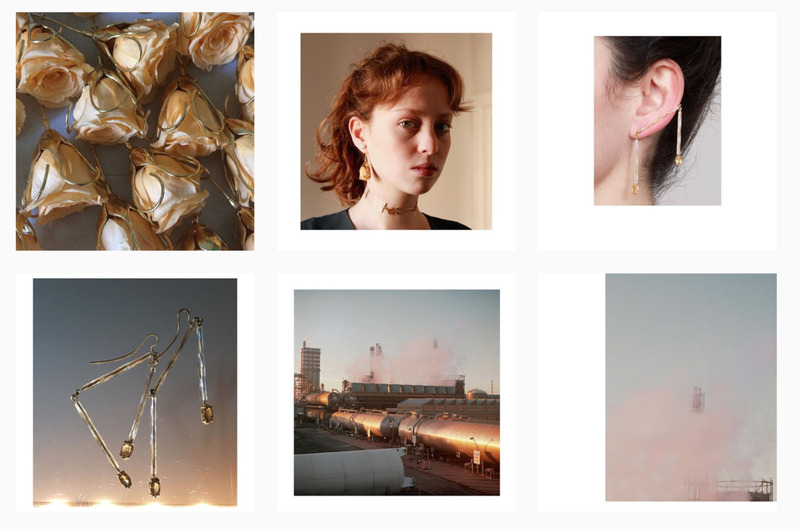 After graduating as a mining engineer, Beatriz worked as a jewellery designer in Dublin before moving back to her hometown of Madrid to embark upon her own creative journey with her now well-established brand. With a strong insistence on quality and craftsmanship, each season sees a newly developed collection originating from the depts of her innate sense of playful experimentation with new forms and previously unused materials. Creating the pieces that can’t be found anywhere else, Leah Alexandra, knows exactly what we need in to create the most beautifully adorned jewellery wardrobe. Having spent time as a metalsmith, Leah now marries her love of creation by traveling the world to source the most unique, beautiful materials which play part in the distinctive nature of all her designs. Versatile and timeless, investing in a Leah Alexandra piece will never loose it’s charm. Delicate by nature and simply irresistible, MoMuse Jewellery is a stunning collection of contemporary jewellery pieces designed by Irish native Margaret O’Rourke. Margaret has seen herself go from selling her designs at weekend markets to being recommended by the New York Times as one of the most coveted shops to visit in Dublin (don’t miss her haven, MoMuse in the Powerscourt Townhouse in Dublin’s city centre). Classic and unapologetically simple, her designs are a clear vision of her own beautiful way of seeing the world and have made their way into the lives and wardrobes of many in all their elegantly understated glory. Expect diamonds in white, champagne and black as well as emeralds, sapphires & rubies set to the backdrop of 9 karat gold metals. Setting the ethical standards high, Mujuri is an everyday touch of luxury at dangerously seductive prices. Working to make luxury so affordable, this beautiful brand teams up with their manufacturers to sell directly to their consumer, meaning they get to create using top quality materials and craftsmanship without the mainstream markups. Each piece is inspired by the idea of quality essentials being a fun and fabulous part of your everyday looks. Online browsing (ok who are we kidding, it’s full on shopping) is a dangerously addictive and highly enjoyable act. However small and no matter the price, if you’re like me and you much rather shopping online these days, my new series “Considered Curations” in which I will be sharing the brands I love to hit up is here to help you find your next wardrobe hit. With the excitement of your parcel arriving to the door and getting to try things on in the comfort of your own home, while also getting to test it out with other existing pieces and do the whole mix-and-match review (we all do it) and well, with the ease of online returns these days there is little left to say but this..
Get in darlings, we’re going shopping! Classic with a twist, Frankie the Shop is consistently a firm favourite. Authentically cool in pretty much everything they produce, it’s a perfectly inspired place to seek out your next ‘unfussy, minimal, wallet-conscious’ purchase. With locations in NYC and Paris their online store is a mixture of on-the-pulse designers and Pinterest worthy pieces. Founded by Australian born fashion stylist Vanessa Cocchiaro, Les Heroines is a stunning creation focusing on occasion-wear and custom made designs for bridesmaids; taking care of your every wedding day dress dream; whether your looking for your bridesmaids or simply something fabulous to wear as a guest. Elegant and gracefully stylish, Cocchiaro designs for the abundance of shapes, ages, tastes and styles of women everywhere. From simple everyday essentials to tasteful one-off finds, Witchery covers your every need in terms of taking you from a casual look on your day off to the bright lights of a Saturday night out. With a focus on muted tones and a satisfactory balance between separates and one-piece buys, shopping on Witchery is exactly the place to add a little something different to your style story. Gu-De, one of the hottest new kids on the block, is a luxury leather handbags brand that had just been picked up by Net-a-Porter. Timeless beauty and unique design dusted with delightful ladylike details are the foundations to this 70’s inspired handbag collection, brought to life by Seoul-based founder and designer, Ji Hye Koo. For those who shop summer in winter (cause let’s face it, whoever let the weather deter from a good shoe investment), A.Emery is an Australian shoe brand that is set to light your heart on fire. It’s minimalist modernism meets Ancient Greek and their core collections are something your wardrobe will forever thank you for.